It struck me last night while I was thoroughly drying my hair with a towel that I have enough hair up there for a small bun! This was super exciting because I have been bored with the lack of things I can do with my hair now. So I decided not to straighten my hair and put it up in a bun today. 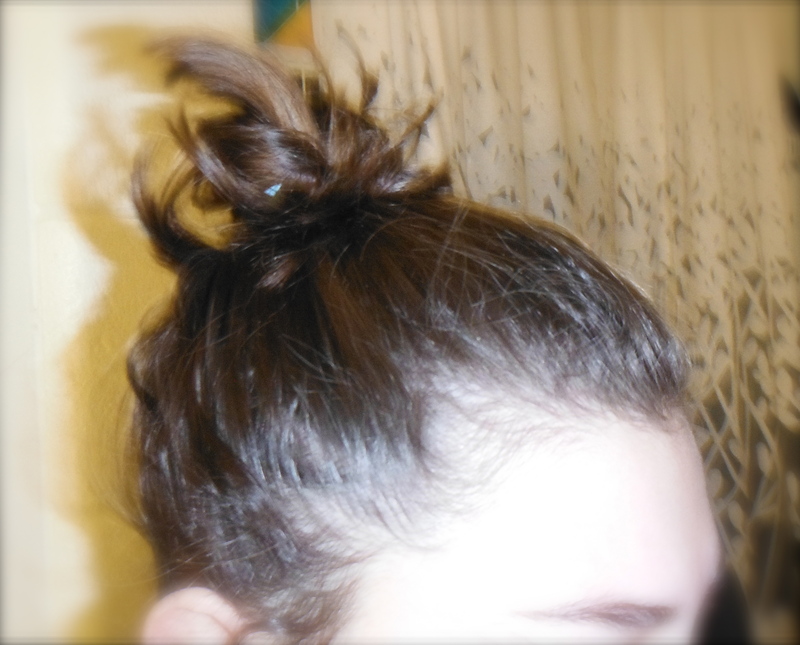 The only problem was the whole bottom half of my hair did not fit into the bun. I decided that I would follow the lead of another friend I have here who puts the bottom half of her hair into a ponytail and pins it up. So I tried that. It wasn’t the best, but it did the job. Then, just for good measure, I tried just pinning it up. That looked even messier. 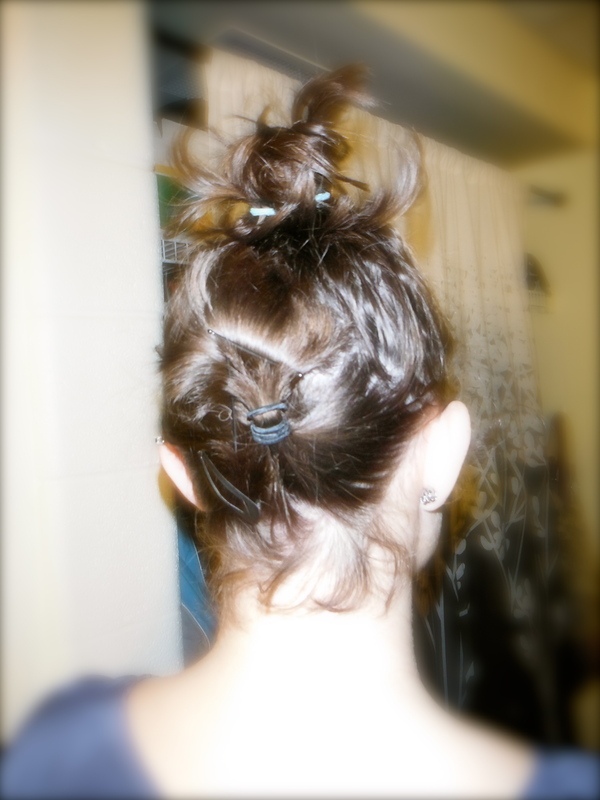 In the end, I went back to the pinned up ponytail. The verdict was all positive from my friends. 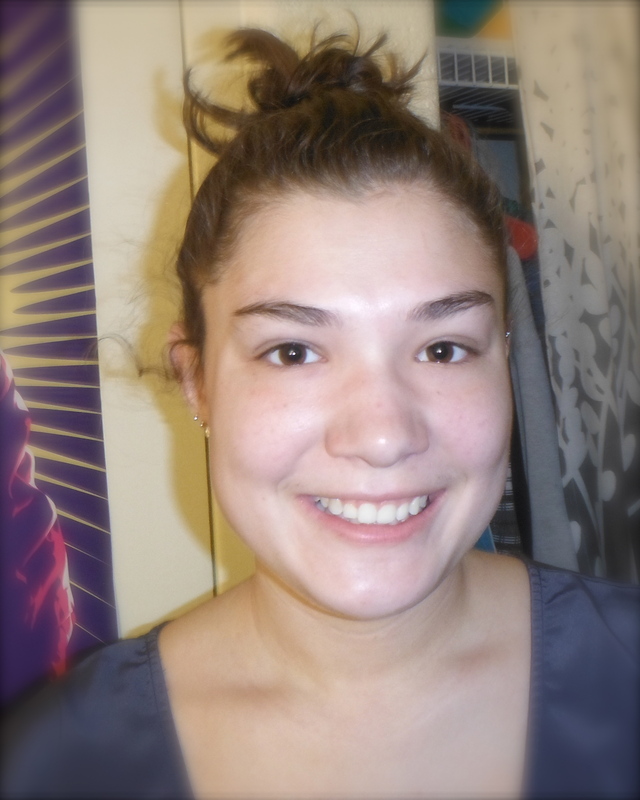 They deemed my little top knot adorable at brunch today! : ) What an exciting new hair style. One more way for me to get my hair out of my face.